One of the great things about being a maker is that instead of rushing to finish a project for someone for a holiday or birthday, I can give the “promise” of a build as a present. Then I slack off for several months and then finally get around to it. Come on people… this stuff is “hand crafted” it takes a lot of time to make. Or I’m just so backed up on projects (that pay and take priority) and have such little shop time that it does take awhile to get to. 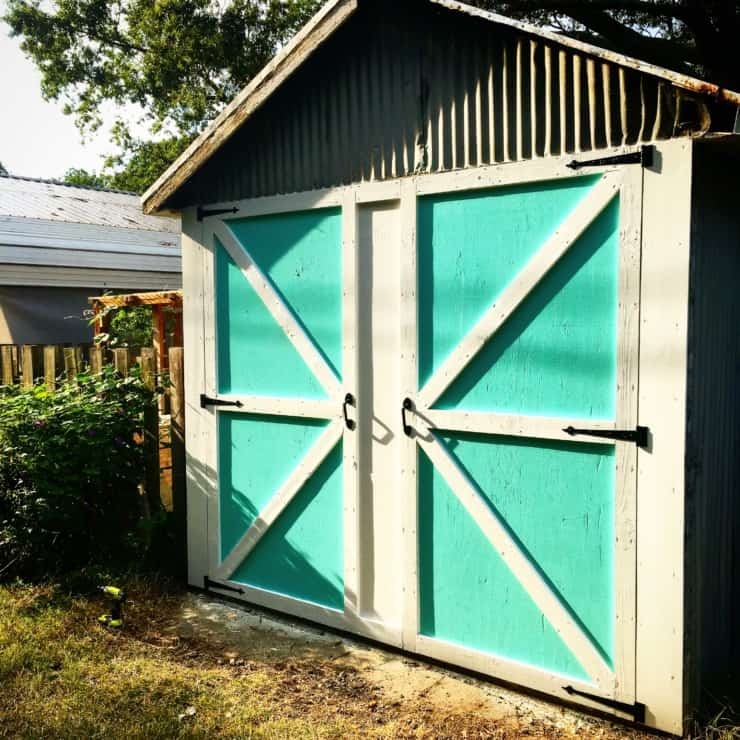 Ask my sister, we’re halfway through April and I still owe her a Christmas present… which is why I decided to build my wife a “promised” anniversary present instead that’s been on the books since January. Clearly we aren’t working a First In First Out inventory here… but then my sister lives “South of the River” (it’s a thing in the RVA) and I don’t have to see her disappointment everyday like I do my wife’s. Ha! The traditional 6th anniversary present is iron, but we both do our own laundry and I feel like I’d be injured if I gave her the newest Sunbeam steamer model… oh wait, like the metal iron… Well good thing the “new anniversary alternative” is wood and I happen to be a woodworker. 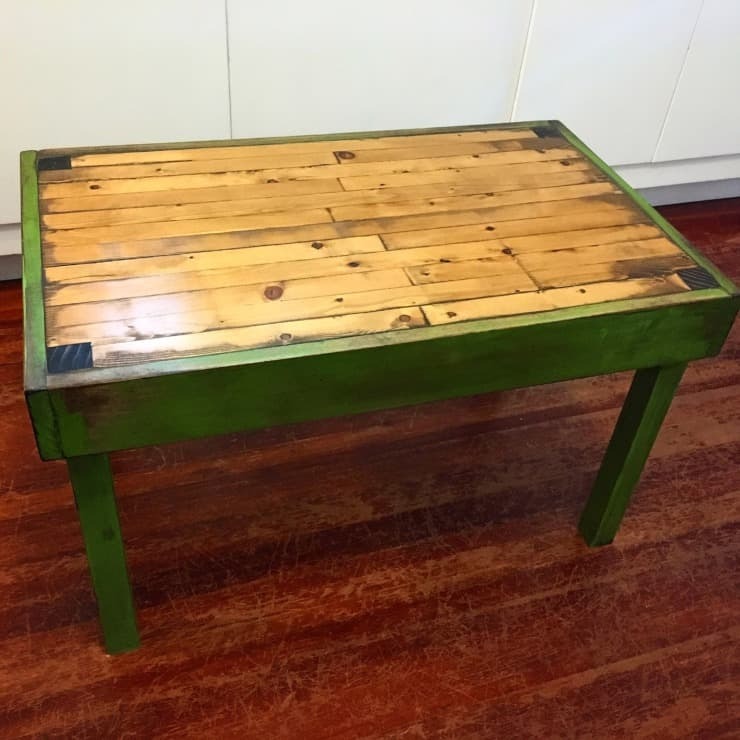 So I opted to build her a laptop tray to celebrate our 6th year of marriage… so that meant it darn well better be a fancy one. I picked up some cherry slabs a while back from my local live edge guy (check him out if you’re in the Central Virginia area) that I’ve been sitting on. Then my dad dropped off a few rough cut walnut boards that have been sitting in an attic for the last few decades. What? I’m using premium lumber? I told you this gift represents 6 years of marriage, it better not be made of cheap plywood and box store pine. 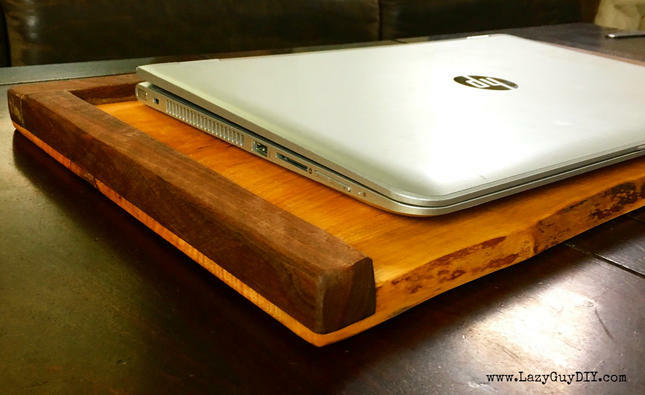 Plus she gave me the RIDGID Oscillating Spindle Sander sooo… so live edge, cherry and walnut laptop tray it is! 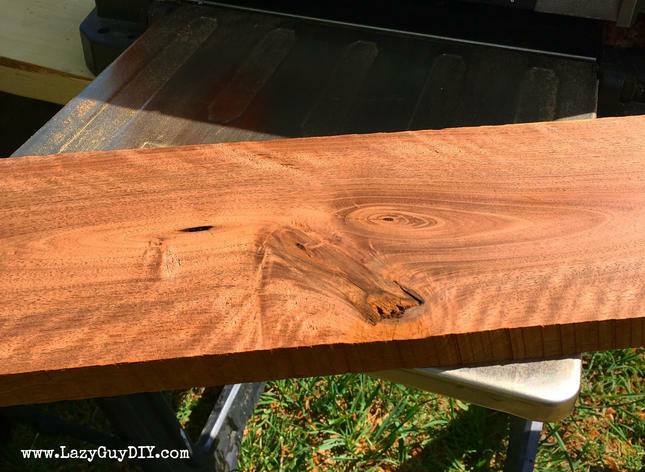 The beauty of a live edge piece is in its irregularities, unfortunately… those irregularities also mean that getting a flat surface can sometimes be challenging. Plus running a 13” wide piece of live edge through a 13” thickness planer doesn’t always go as planned. 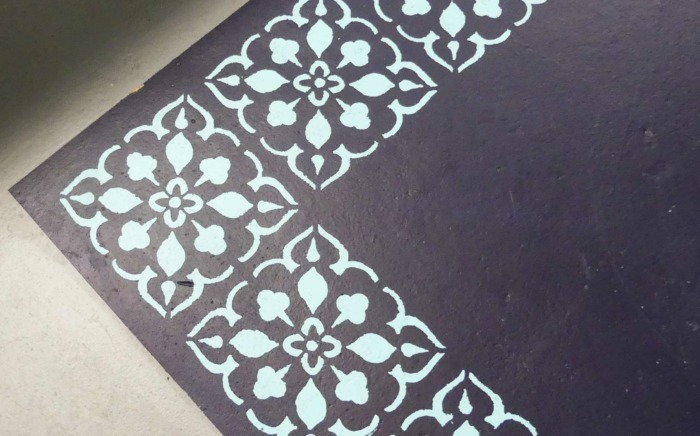 Luckily, because this is a smaller project, prepping your surface is a little more manageable. Also, before you start, that cool looking bark on your piece? You’ve got to take it off, it’s going to fall off in a few months of use anyway. Like Rose gripping on to Jack’s hand for dear life on a raft that can clearly hold two people… just let it go. Use your sander to clean up any remaining material to give the live edge a smooth (but still irregularly beautiful) front. You’ve got a handful of options here. If you’re into pain and suffering or you’re just on a budget, you can use a sander to smooth out your surface. That means quite a bit of time with a belt sander and eyeballing to take off the top layer and then going back with Orbital Sander (and 220 grit) to smooth it out and then hand sanding with high grit (300+) for the smoothest finish. It sounds bad, but it won’t take a ton of time because of the size of the piece. 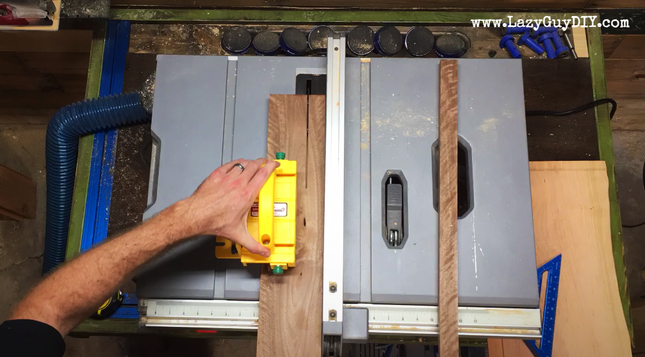 If you’re feeling really ambitious, you can take a router and a router sled to level the piece out by going back and forth. On a piece this small… “Ain’t nobody got time for that”. So what did I do? 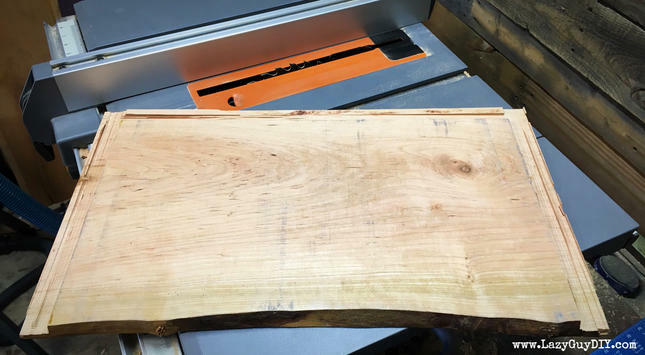 I trimmed the back of my slab down and made the piece 13” wide and ran it through my thickness planer. 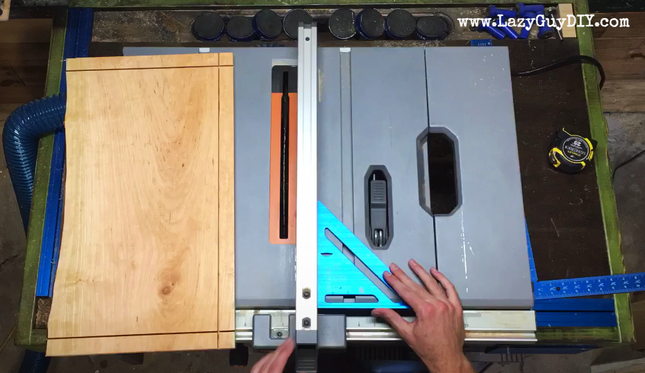 Using spinning blades, the planer takes off layers until your surface is flat. Plus, if your blades are nice and sharp, you barely have to sand. It’s by far the loudest and one of the most fun power tools to use. For the record, it’s accent wood, ascent wood just means your lumber is unnaturally levitating and if that’s the case… get out of your shop, call Ghostbusters and be concerned if you start asking people if they are the “Key Master” because you’re the “Gatekeeper”. For my build I lucked out and got some nice pieces of aged walnut, but you can very easily find some nice pieces of premium lumber at places like Woodcraft, Rockler or even your local lumberyard (you only need 25” so might even get scraps for free). Don’t have these options? Just get a piece of select pine 2×2 from Home Depot and stain it to the color of your preference. 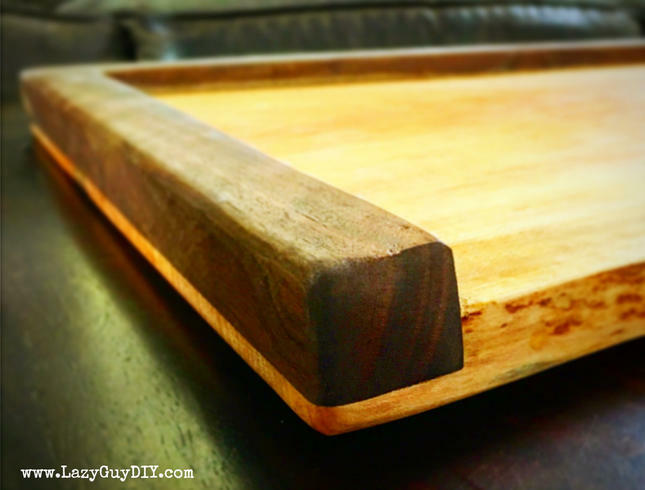 This wood is being used for the raised edge around the tray so you want it to stand out. In my case, the walnut was rough cut and a little warped, so I cut down the material to a usable piece and ran it through the planer to take off the years. It’s like a face lift without all the waxy and puffy after effect! Once the piece looked flat, I then squared the edges by running it through the table saw and miter saw to give myself a nice looking walnut board. If you’re picking yours up from the store, you probably have square edges to begin with. Good for you! It must be nice to out-lazy the Lazy Guy. We should probably talk about the obvious here… if you’re making this tray for a laptop, you should probably measure the laptop that’s going to be sitting on it. In our case, my wife’s laptop is 10”x15” so I decided the tray would be 13”x21” and a work surface of 12”x19” because of the accent wood giving about 2” on the sides for airflow (her fan blows out the side rather than the bottom). 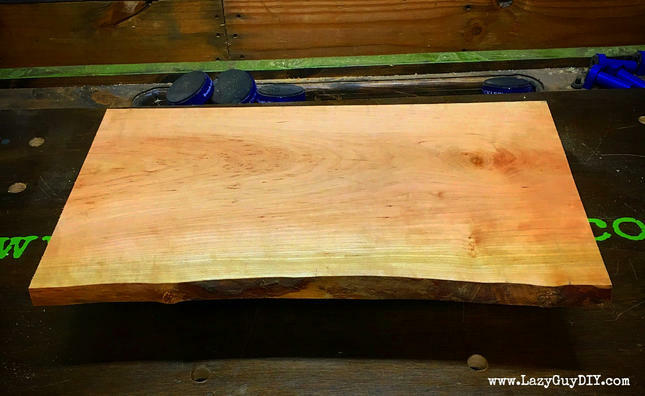 Because I’ve learned that exact measuring is for people more accurate than me, I cut the cherry slab down to 22+ inches so I could cut off the excess later when I square the edges up. In the meantime, I kept one live edge intact that would serve as the front, and then used the back edge I squared off earlier as my guide for making 90 degree straight cuts. Now that I have 3 square sides and a live edge front… it’s time to cut some dado grooves to inset our accent wood. I tried two different methods for this and both absolutely worked, but I liked the results from the router better. 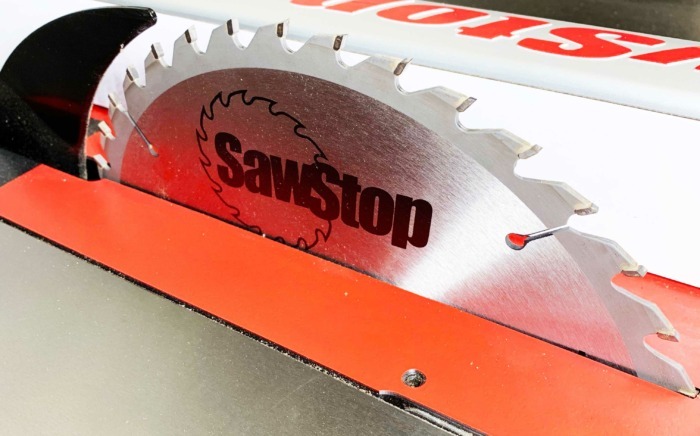 But first, let’s start with the more common approach with a table saw. On the three straight edges I marked out a 1” line, set up my table saw and fence and started making passes (in a friendly, but non-aggressive manner) to cut away the material leaving about a ¼ ” behind (don’t go too thin). You start at your inside 1” line and then continue to make passes with the blade until all of the material out to the edge has been removed. It’s tedious and unless you keep the same pressure, it’s possible your passes won’t make a smooth cut to the point it looks like layer cake. Because I have a compact table saw, I have a smaller work surface for sliding the tray top back and forth for the cuts, so my results weren’t great as you can see below. So the other completely acceptable method to remove the material is with a router. 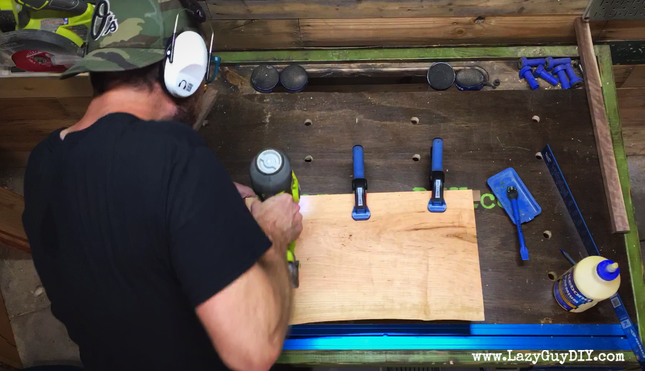 I used my router table and a straight cut bit, but you could absolutely do the same with a hand router and some well-placed guides and a downward cutting bit. 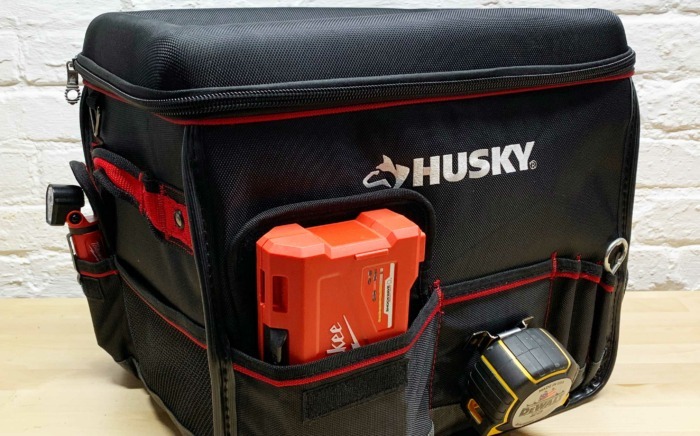 If you’re using a handheld router, unlike the table saw, you’re going to start on the outside edge and work your way inward to the inset line. 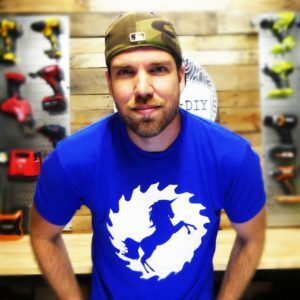 If you’re using a router table like I did, set your fence and depth and just make your passes (more aggressive now that we’ve had a few drinks and gotten to know each other) and call it a day. You can see how much better this looks than the saw method. Because you might have scored your surface, now is your last chance to really sand things smooth, so give your surface a quick touch up because this is your last exit before you hit the toll plaza. Step 4 – Put A Bird On It! My wife and I used to shout “put a bird on it” to each other if someone was getting dressed or working on a project and it needed a little flare. Seemed like designers really liked using birds on EVERYTHING a few years ago to make their piece “special”. Well we are using walnut and not birds on this piece. Going back to that walnut, I used my table saw and cut 3 strips that were at least an inch wide and then made sure (because it was a little warped prior) that I had at least 3 squared sides out of four. It’s not that I don’t care about the 4th side, it’s just that I’m going to cut his face off with a table saw later anyway. I attached the back piece first, remember, it’s okay if there is a little bit of overhang to begin with off the back, plus I made the sides longer as well so I can cut them off on the final clean up. Apply wood glue and clamp the piece into the inset groove. I used Rockler’s Bandy Clamps because not only were they the perfect size, but because of the rubber bands (get it, bandy clamps) it applies pressure to your piece to give the tightest fit. With the walnut in place, I flipped the board over and used 1” brad nails to secure the accent piece in place from the bottom. With the back piece secure, I then dry fit the side pieces, mark a length that ends a little longer than the live edge front and then cut off the excess and install in the same manner as I did the back piece. 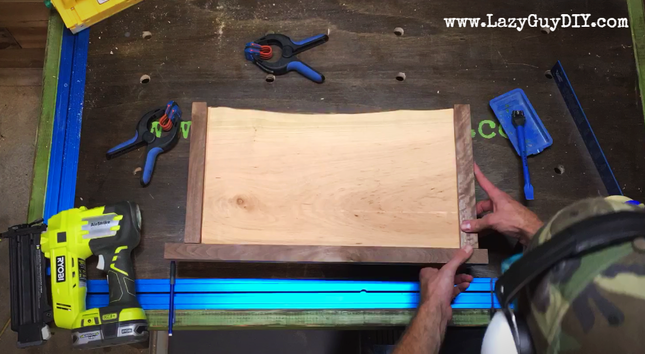 Once again, it’s okay if there’s a little overhang with your accent piece being wider than your live edge tray. Be sure to wipe away any excess wood glue. 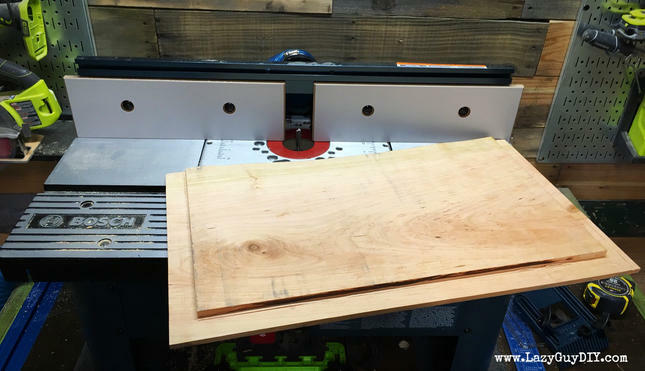 Using a table saw, circular saw or even a miter saw (if you have a slider), cut away the excess accent wood so you have a flush edge with your underneath tray. Make sure your sides are square and 90 degrees. Now pull out the power sander! 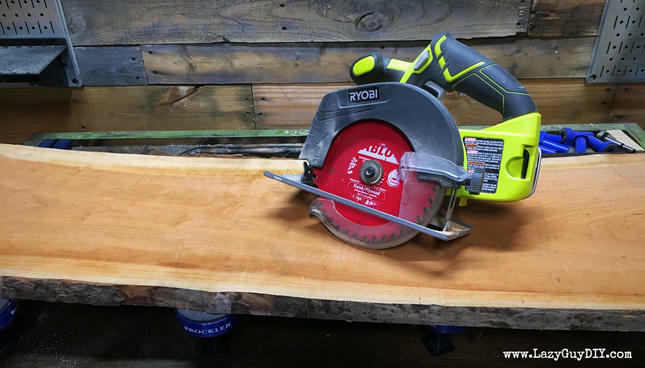 I mostly used my RYOBI One+ orbital sander with a few batteries standing by. I sanded down all of the edges and surfaces with 220 grit sandpaper. I debated using a roundover bit on my router, but hand sanding gave me a more organic edge that went well with the live edge front. Also, remember how we just cut off the fronts of the accent pieces leaving just a little extra to stick out from the live edge? Start sanding that furiously down as well until you can a transition from the live edge to the accent piece that you’re happy with. 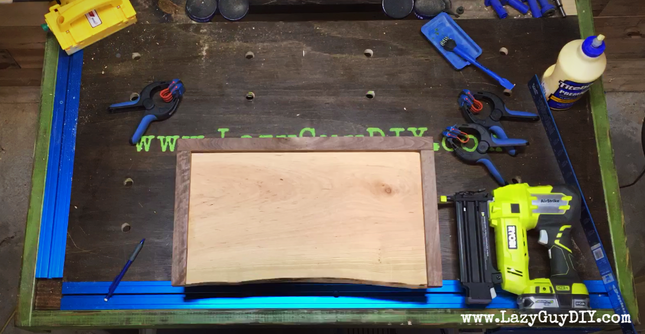 You might want to up your grit to something like 180 for just that area to really take some meat off, but be careful not to scar up your other wood. Once you get close to the shape, switch over to 220 or higher. 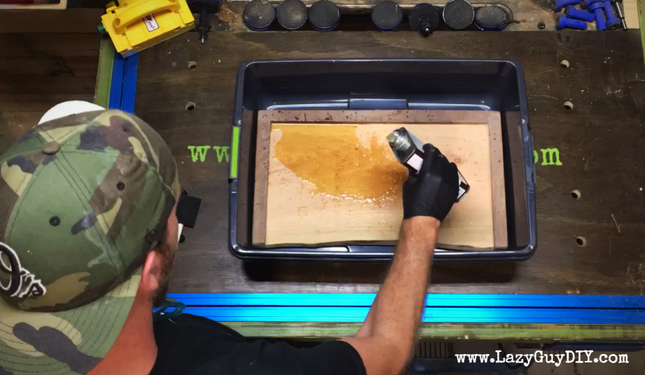 Hand sand any rough areas with 300+ sandpaper and wipe the piece clean before the next step. 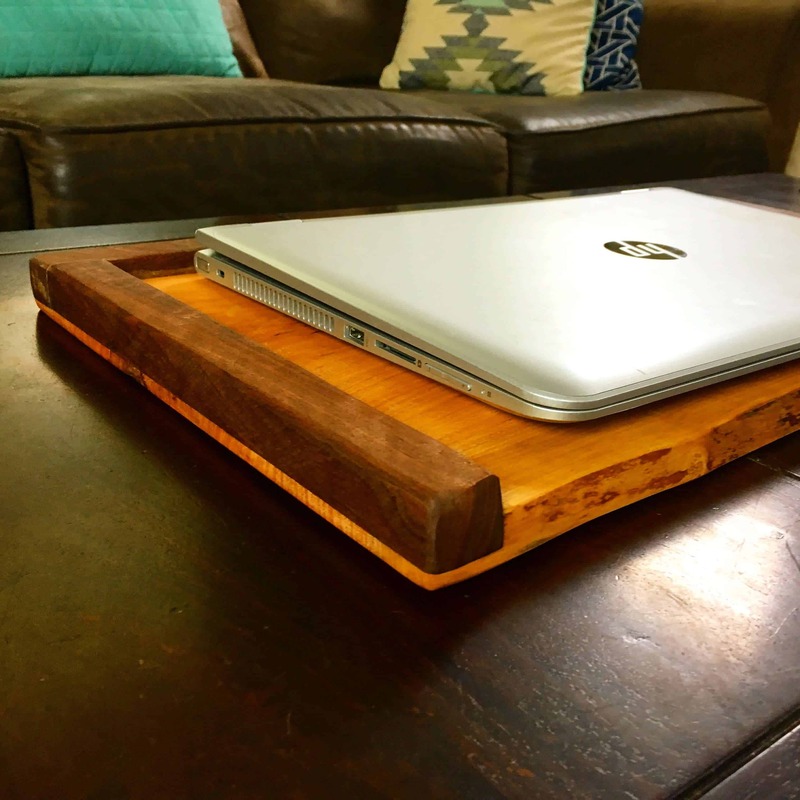 Err… not a well-oiled machine… a well-oiled laptop tray. 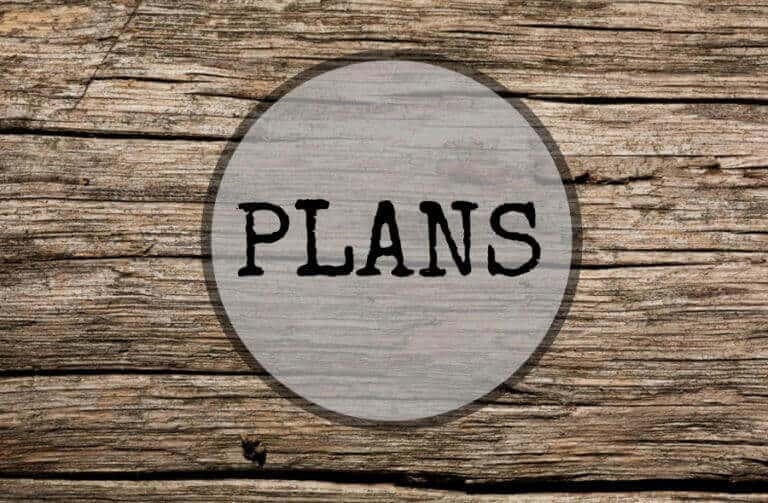 You’re going to want to use a plastic container or go to a safe work space for this step… one thing that people LOVE to do on Instagram is show videos of adding mineral oil or other spirits to the cutting boards to reveal the awesome wood grain and pattern. That’s essentially what we’re doing here. While it’s doesn’t quite have the BAM! effect of an Emeril Lagasse reveal, this is still where the magic happens. I used Watco Danish oil on this piece instead of the normal poly coat I generally use for my construction grade lumber projects. Danish Oil can be made of multiple spirits like Tung Oil (not tongue) or even Linseed. It goes on as a liquid and dries into a hard sealing solid finish. It’s perfect for really enriching the cherry and walnut woods and providing a protective surface to work on. I also like that rather than having to stir the contents up from the bottom (but not stirring too much to create bubbles) like a poly coat, you just shake this can to your little heart’s desires and then apply with a flood coat. Yep, just pour it on, heavily coat it and spread it around with a foam brush or application cloth. 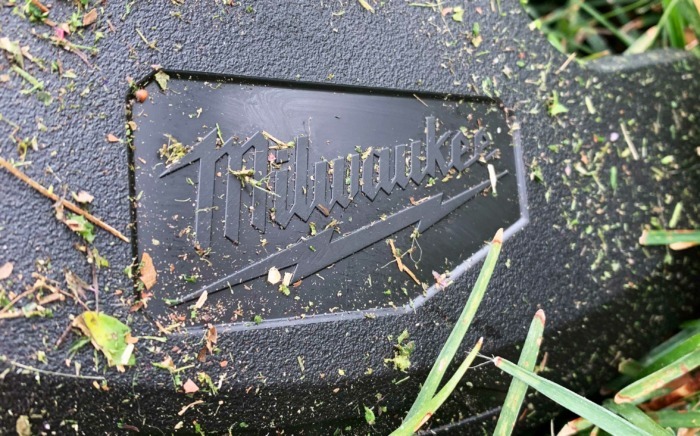 If some areas seem like they are really soaking up the oil, apply even more. Let that soak up for about 30 minutes and then wipe away the excess. Then reapply another flood coat, let it soak for 15 minutes and then wipe off the excess. It will be ready to use in about 8 hours. 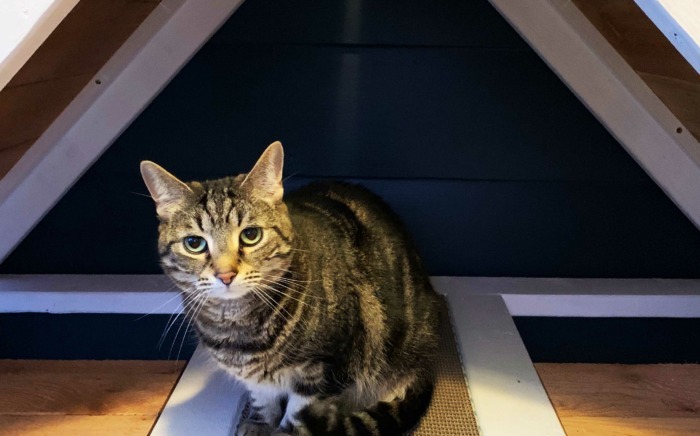 The oil is fairly strong, so use it in a well ventilated place and let it dry some place where it can release fumes where it’s not going to stink up the house. 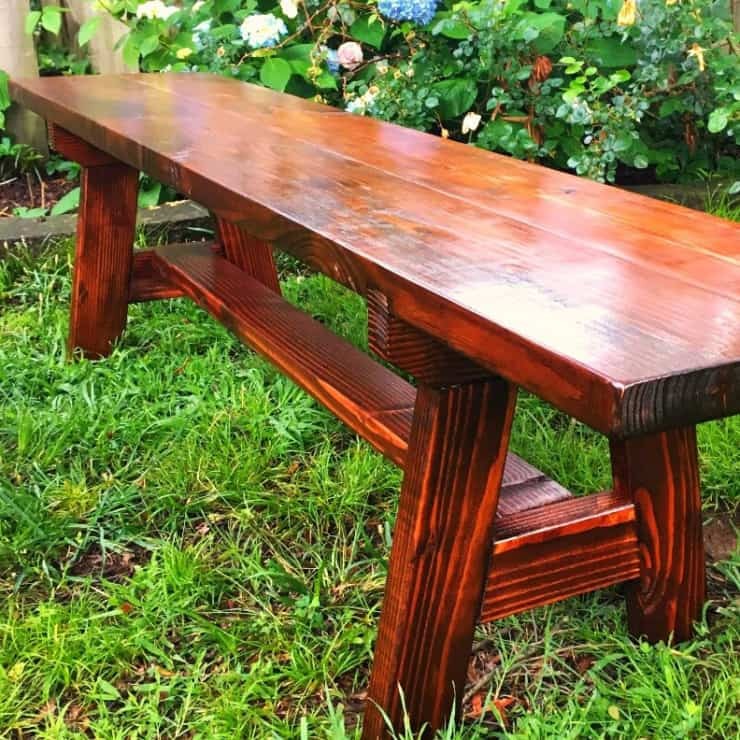 I applied stain on a project in my basement once… that was a mistake I made only once. 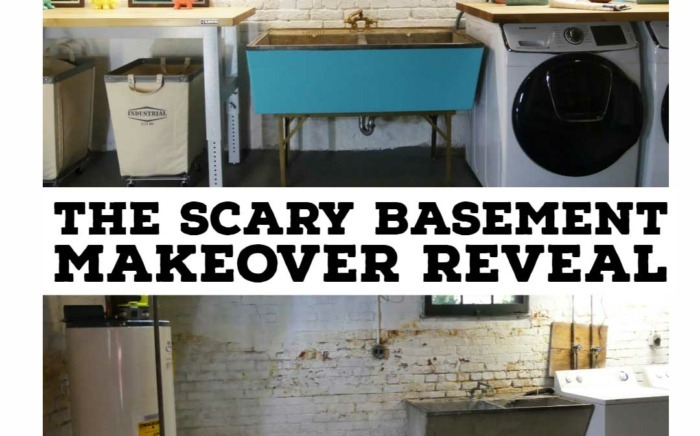 It took a week to rid the house of stain smell. Do yourself a favor and find another place to finish your projects. Your lungs and your family will thank you.